A new study examines the projected global economic effects of climate-related flooding; China and the United States are especially vulnerable. 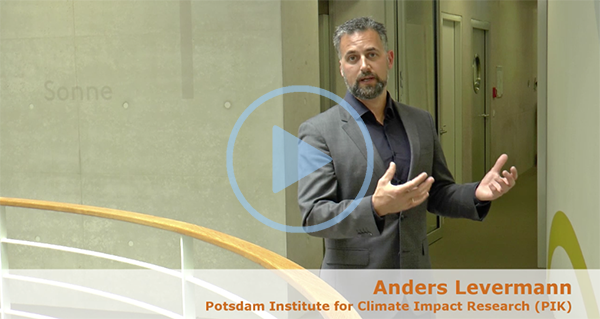 Coauthor Anders Levermann explains. 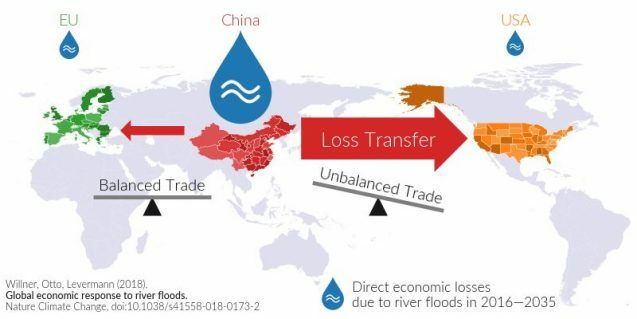 Intensifying river floods caused by global warming may hamper national economies worldwide, with effects propagating through global trade and supply networks, a new study says. 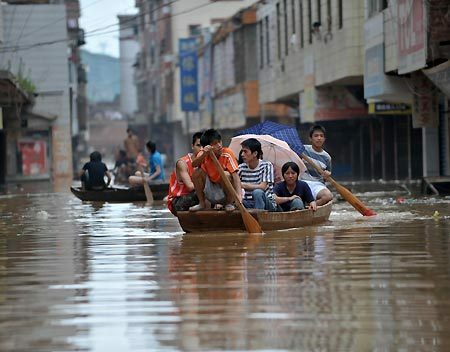 It projects that China will be hit hardest, with an 80 percent increase in floods, and that the United States might in turn be particularly vulnerable to radiating effects, because of its unbalanced trade with China. The study says economic losses worldwide due to river floods could increase by more than 15 percent, accumulating to a total of about $600 billion over the next 20 years. The research was published today in the journal Nature Climate Change. The study is based on projections of river floods on regional scales. driven by greenhouse gas emissions that humans have so far emitted. The authors investigated the international economic response to flood-related shocks using a specifically designed dynamic computer simulation. The European Union and the United States would be affected predominantly by indirect losses passed down along the global trade and supply network, the study says. In the United States, direct losses would be around $30 billion, and indirect losses $170 billion. The EU will suffer less from indirect losses, because it has a more or less even trade balance with China. The EU would be affected, for instance, when flooded regions in China temporarily fail to deliver parts that European companies need for production. On the other hand, Europe will profit from filling climate-induced production gaps in China. In contrast, the United States imports much more from China than it exports, leaving it more susceptible to climate-related risks, say the authors. More intense global trade may help mitigate losses from local extreme events, said study coauthor Christian Otto of PIK and Lamont-Doherty. “When a supplier is impacted by a disaster hampering its production, international trade increases the chance that other suppliers can jump in and temporarily replace it,” he said. “The trade war we are currently seeing unfold by the U.S. administration against China and potentially the European Union is counterproductive in this situation. It might impede climate proofing [of] the U.S. economy.” Because of the way supply chains work, the global increase of climate-induced river floods could actually cause net gains for some economies such as Australia, India or some South East Asian countries, which could jump in to fill gaps in other nations’ production. This story adapted from a press release by the Potsdam Institute for Climate Impact Research.